The Righter Company was presented a Gold Level STEP (Safety Training and Evaluation Process) Award on August 11, 2011. STEP was created in 1989 by the ABC National Environment, Health & Safety (EH&S) Committee to recognize ABC member companies with exceptional safety records. There are four levels of achievement in the STEP program: Bronze, Silver, Gold and Platinum. 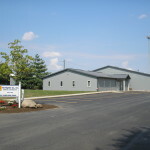 The Righter Company is a past recipient of a Silver Level Award (2010) and a Gold Level Award (2009). The Innis Park segment of the Alum Creek Trail is the newest section of the greenway winding along the Alum Creek corridor. This 2.5 mile path is one of the final pieces of the 22.5 mile trail, which connects over 12 parks, 7 neighborhoods, and the communities of Columbus, Westerville, Bexley, and Obetz. This path is also part of the Ohio-to-Erie Trail, a 325 mile national trail running from the Ohio River in Cincinnati to the shores of Lake Erie in Cleveland. The Builders Exchange Foundation and The Righter Company, Inc. are pleased to introduce The Donald W. and David M. Righter Scholarship for Civil Engineering and Construction Management. May 13, 2011. Pictured left to right, Dennis Hoffer, 2011 Bx Board of Directors, Donald W. Righter, Co-Founder of The Righter Company, Inc., and Bradley R. Nadolson, President of The Righter Company, Inc. 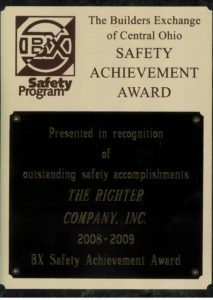 The Righter Company was presented a Silver Level STEP (Safety Training and Evaluation Process) Award on Thursday, August 26, 2010. STEP was created in 1989 by the ABC National Environment, Health & Safety (EH&S) Committee to recognize ABC member companies with exceptional safety records. There are four levels of achievement in the STEP program: Bronze, Silver, Gold and Platinum. 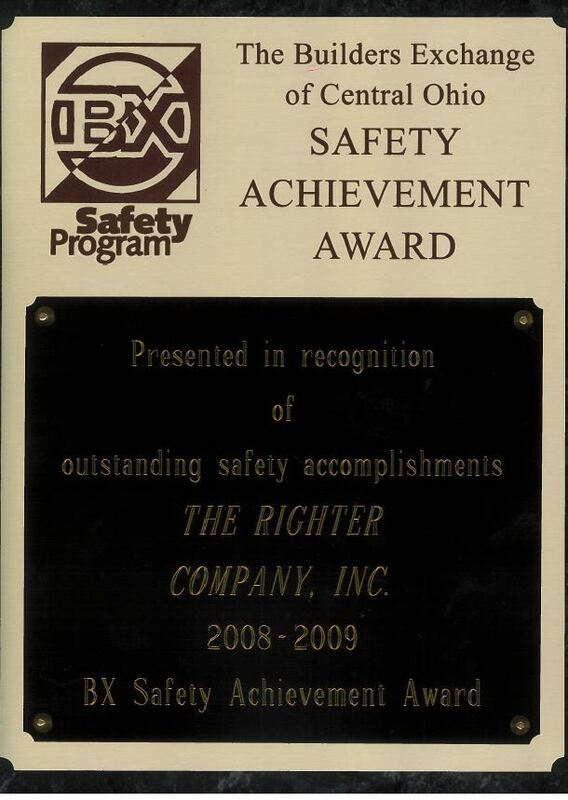 The Righter Company was a recipient of a Gold Level Award on September 3, 2009. Jeff Bunner, for the removal of an existing steel truss bridge to build a new covered wooden bridge along the Big Darby River (Buck Run Covered Bridge). 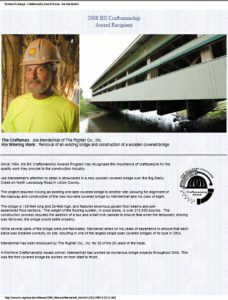 Joe Mendenhall, for moving an existing covered bridge to a new site and construction of a new covered bridge along the Big Darby River (North Lewisburg Covered Bridge). 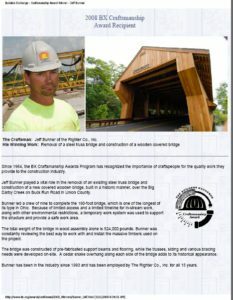 CONGRATULATIONS to Jerry Yantes, our Safety Director, and the entire Righter Team, for being recognized by the Safety Council of Greater Columbus for winning the Ohio BWC 2008-2009 Achievement and 100% Award for Safety. We are honored to receive this award and continue our commitment to maintaining a safe work environment for our employees. CONGRATULATIONS to Jerry Yantes, our Safety Director, and the entire Righter Team, for winning the 2008-2009 BX Safety Achievement Award. 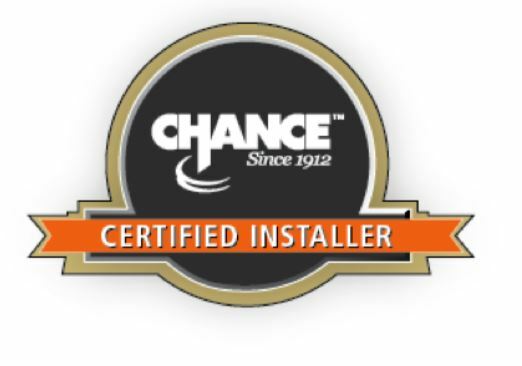 We are honored to receive this award and continue our commitment to maintaining a safe work environment for our employees. 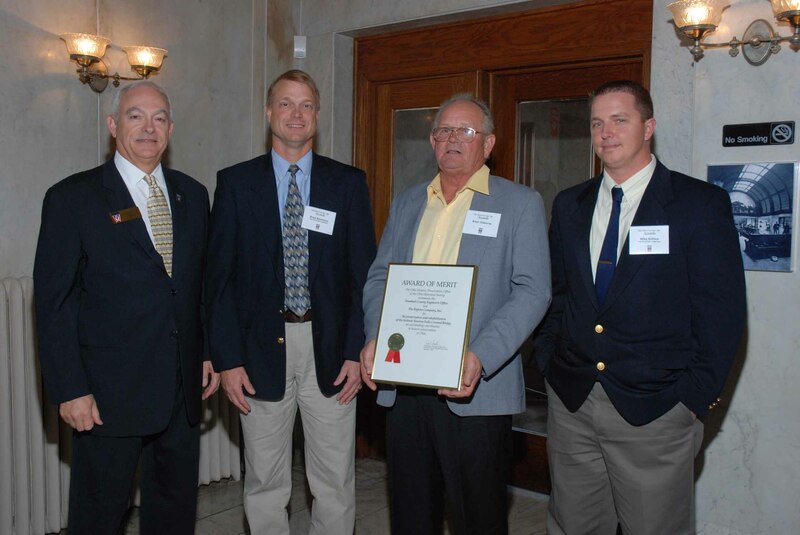 The Ohio Historic Preservation Office awarded The Righter Company and Trumbull County Engineer’s Office an Historic Merit Award on Saturday, November 1, 2008, at the Historic Toledo and Ohio Central Railroad Station in Columbus. 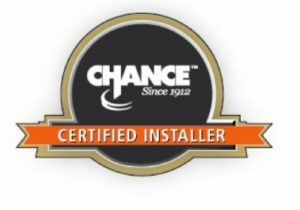 Intech Anchoring Systems, Inc., the upper Midwest distributor for the CHANCE® family of HELICAL PIER© Foundation Systems, awarded The Righter Company, Inc., FIRST PLACE Dealer Sales for 2007. CONGRATULATIONS to Jerry Yantes, our Safety Director, and the entire Righter Team, for being recognized by the Safety Council of Greater Columbus for winning the Ohio BWC 2007-2008 Achievement Award for Safety. We are honored to receive this award and continue our commitment to maintaining a safe work environment for our employees.